I’ve read in other blogs about how they’re proud to be singaporean and its of quite typical entries. 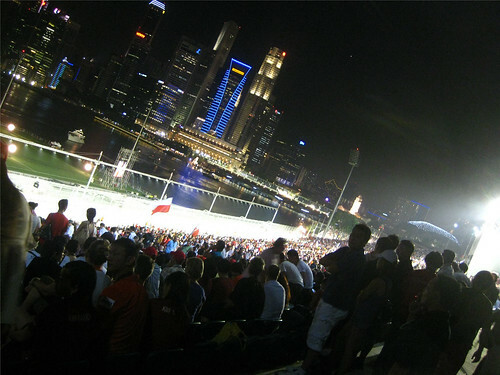 There are definitely more than that to be proud of Singaporean. I don’t see the 3Ks (kia su, kia si, kia bo which, in direct translation, afraid to lose, afraid to die, afraid of wife respectively) and the lahs, wahs, etc. 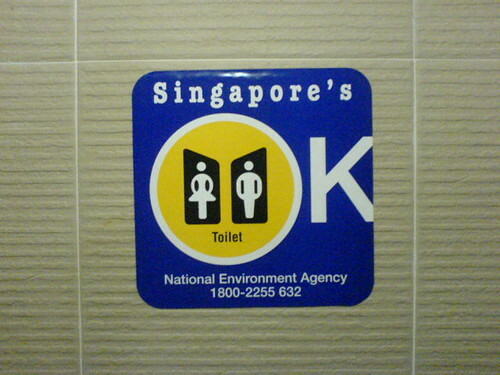 (singlish) are the only ways to identify our proudness over our motherland. What I really feel proud as a Singaporean, is that this amazing small red dot has its ability to rule itself as a country (comparing to the neighbour countries). Ofcourse, small is good because it means easier management and thus we do not need as much politician parties to join and there won’t be chaos as everything in here we talk with black and whites (and maybe reds), rules and laws! Appeal is the only option. Its so damn safe. We may not have the luxury of the 4 seasons but hey! there’s no natural disaster(except for the almost flood that happened months ago), its good a trade already isnt it? And guys may slaughter me for being proud of this but hey, Im really proud of this. We have a compulsory national service system so that we can protect ourselves and assist other countries if they need (e.g. helping out in some countries after the Tsunami hits). Oh yea, did I forgot to mention, Singapore is not just a food paradise. It has made its marks on things that people would never thought of us doing it! E.g. our famous zoo, the F1 race, the upcoming Youth Olympics 2010 and NUS is among the top 30 universities of the whole world! With the rate of tourism is rapidly increasing and with the upcoming integrated resort with casino, it is said to attract more tourist and thus more revenue for our nation! And we’re so clean, until our public toilets are inspected and graded so that those toilets that failed the test will have to be re-done! 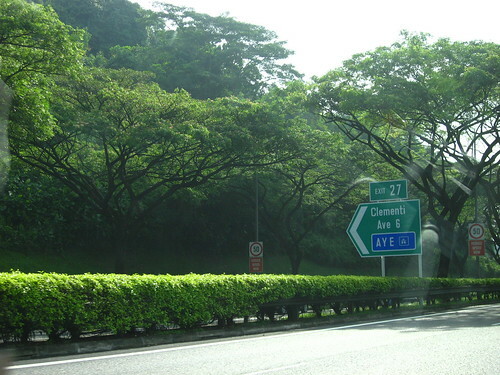 Our roads are clean and filled with green trees and grasses, you will never miss the road because the road signs are really big and ample time is given before you make the turn! You won’t have the fear to drive at night because most of the roads here are so properly lighted! We have our very own Airport tower which is almost identical to the Eiffel tower (Im talking about the height =x) and we have our very own Esplanade which is similar to the turtle-like structure in Hong Kong (from the outside, just that its spiked so that it can keep itself shelted from rain. ha ha. that was so funny.). So what makes me really proud as a good old Singaporean are our amazing achievements & safety! Keep it up Singapore for 2009!